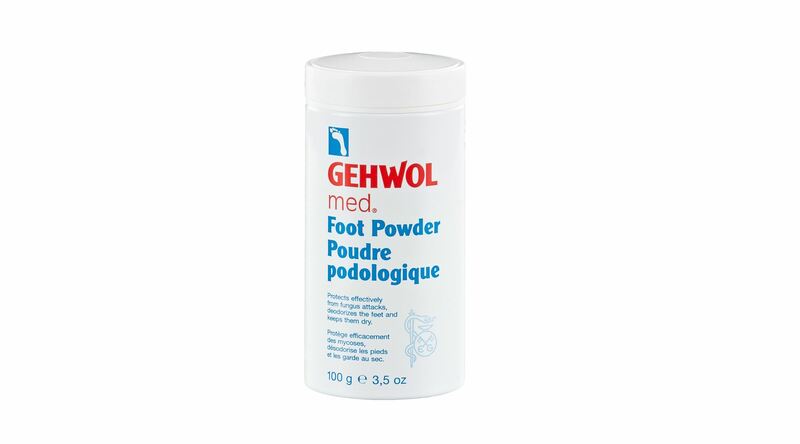 GEHWOL med Foot Powder helps keeping the feet dry by absorbing sweat. 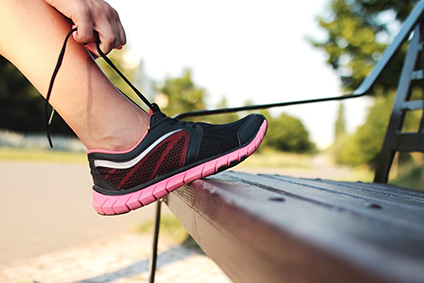 The high quality ingredients like tapioca starch, micronized zinc oxide, triclosan, and Bisabolol prevent foot odours and sweaty feet, provide a smooth, pleasant skin sensation and has antiseptic properties. Bisabolol, the active ingredient in chamomile, promotes healing and has a positive effect on damaged and tired skin while triclosan deodorises and clotrimazole helps to protect against fungal infections. 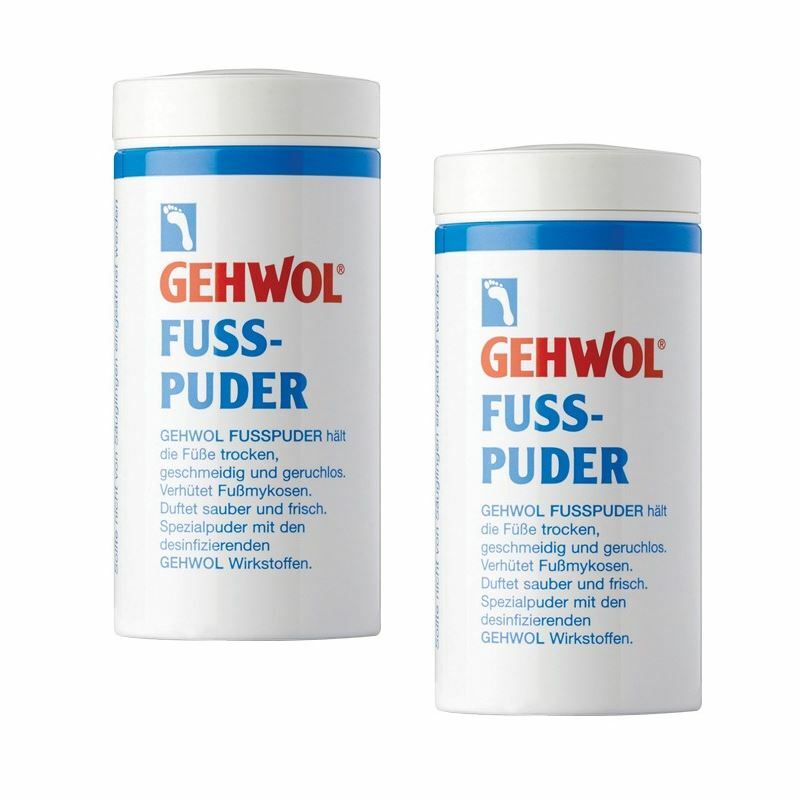 Gehwol Foot Powder is the perfect support for the treatment of fungal infections on the feet and between the toes. For enhanced freshness, we also recommend to use a small amount in shoes. Sprinkle powder on feet and in stockings and shoes daily. Talc, Magnesium, Carbonate Hydroxide, Zinc Oxide, Silica, Benzoic Acid, Triclosan, Isopropyl Alcohol, Eucalyptus Globulus (Eucalyptus) Oil, Parfum (Fragrance), Chloroxylenol, Rosmarinus Officinalis (Rosemary) Oil, Camphor, Pinus Pumilio (Pine) Oil, Limonene.